Level Up partners with Capcom and Marvel with the upcoming Battle For The Stones Online Tournament Series this year! 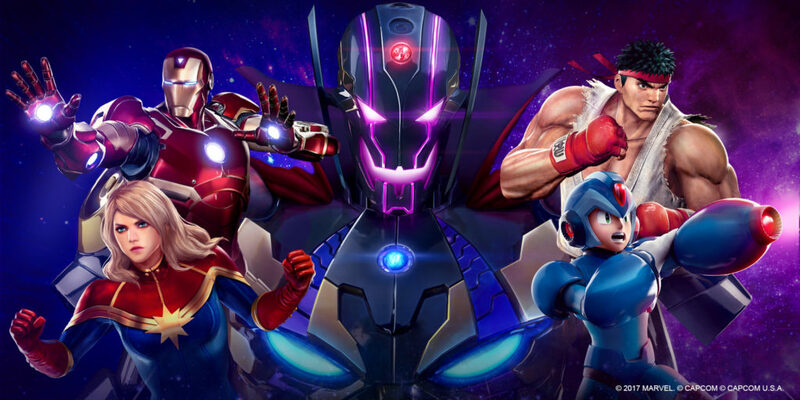 North America, Latin America, and Europe participants will get a chance to qualify for a trip to Capcom Cup 2017 in Anaheim, California by competing in Marvel vs Capcom: Infinite online tournaments starting this November 18. “Marvel vs. Capcom: Infinite – Battle for the Stones will see titanic forces collide as the seven EVO champions from the past and a new group of nine qualifiers fight in a competition unlike any you’ve witnessed before! As the name suggests, the Infinity Stones play a vital role in this clash against the EVO legends. On the road to the “Battle for the Stones,” there are six official Infinity Stone Tournaments all over the world that will each represent one of the Stones. Those who wield one of the Stones will gain a special tournament rule-bending power they can activate during the “Battle for the Stones” Finals in Anaheim, CA on December 9-10, 2017. By participating, players acknowledge and agree that Marvel is in no way a sponsor, administrator, organizer, or prize provider.